Metcam’s recent Adopt-a-Road volunteer program involvement “to keep Forsyth County beautiful” is a natural course for a leaner, greener company to take. It’s also an excellent metaphor: the Georgia Manufacturer of the Year is committed to taking the most direct route to improvements from which all can benefit. Metcam commits to processes that conserve energy and natural resources and do not pollute. Sound environmental stewardship comes via sustainable practices, continuous improvement, regulatory compliance, pollution prevention, continuous review and public transparency. It can be seen in the use of zero-VOC (volatile organic compound) paint and returnable/reusable packaging for products to high-efficiency lighting and a water filtration system that extends the life of water baths and reduces water usage and waste water. “In doing these things, we reduce costs, minimize our environmental footprint and show ourselves to be responsible corporate citizens,” said Bruce Hagenau, co-owner and president of Metcam, which was a Gold Level Partner for the Clean Air Campaign and has received the Governor’s Award for Pollution Prevention. 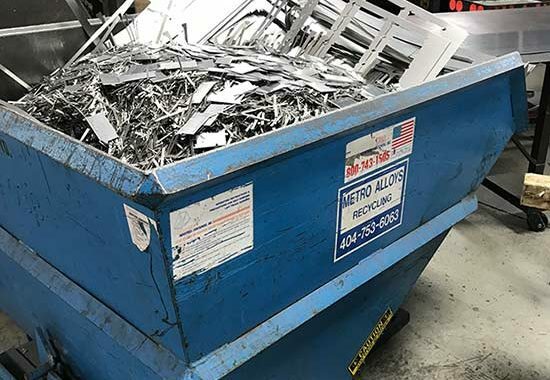 As a zero waste, recycle-everything operation, Metcam treats efficiency as highest priority and the benefits spread from the bottom line to the environment and, of course, the community. That committed, caring reputation also makes everybody from politicians to STEM students stop and take notice. In 2017, Metcam was one of the few companies, along with Coca-Cola and Chick-fil-A, chosen to serve as table host for The Green Chamber of the South’s Sustainability Interactive. Each year, the region’s top sustainable companies are selected based on implementing sustainability strategies, leading with C-suite engagement on sustainability, reporting on sustainability impacts and seeking to advance business contributions beyond risk management to catalyze social and environmental change. Great work Bruce and Metcam team on implementing these sustainable practices! 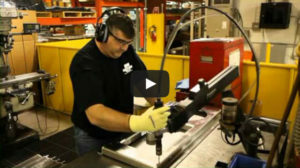 Glad to see the reduction in operating costs and minimizing Metcam’s environmental footprint.